1. My child has never been on a skateboard before and I’m wondering if the camp is too advanced for him? What are the ages for the camp? * Basics of Skateboarding specifically caters to children who have no prior experience with skateboarding. We guarantee that your child will leave our camp with specific skills and will build confidence in the process. We generally accept kids between the ages of 3 and 12. 2. How do I sign-up and what are the hours? * The entire list of all camps offered including dates and hours can be found on this website with the Camp information. Sign up is typically done through the city recreation site for each camp. Links provided will direct you towards each city recreation site. 3. What if my child can only be there for some of the time or might have to miss a day? Is there anyway she/he can make it up? 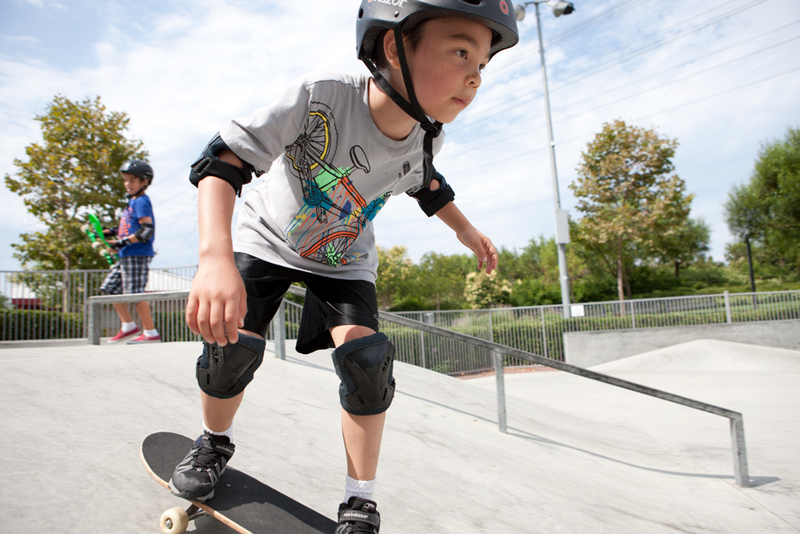 * Basics of Skateboarding will allow campers to make up missed time in accordance with the rules and regulations of all city and associations that are affiliated. If your child will be missing class, please let us know prior to the date, so we can make the appropriate accommodations. 4. Do we need to provide helmets and pads and is there any insurance included? * Yes, we require that all participants bring their own helmet, pads and skateboards. All campers must pay a $10 insurance fee - due upon the first day of camp. The $10 fee is valid for 3 months.